New figures released by the Palestinian Ministry of Health to mark the end of 2014 reveal that the number of casualties from Israel’s summer assault on the Gaza Strip is significantly higher than previously reported. According to the Maan News Agency, the ministry figures set the total number of deaths among Palestinians in the 51-day offensive between July 7 and August 28, 2014 at 2,310, around 100 more than figures previously released. The revised toll likely includes a large number of Palestinians whose bodies were found in the rubble following the end of the Israeli bombardment, as well as dozens who have died from their wounds in hospitals in the months since the conflict’s end. The ministry said that among those killed were 1,802 males and 508 females. A total of 10,626 Palestinians were also wounded in the assault, 7,275 of whom were male and 3,351 female, according to the ministry figures. Both counts, classified by gender, include children, hundreds of whom were killed. The ministry figures also indicate that, during Israel’s offensive, 145 families residing in the Gaza Strip lost three or more family members in a single strike. In some attacks, entire families were wiped out and, consequently, have been entirely removed from active Palestinian civil records. Also among the dead were 32 medics, in addition to the 102 wounded during the offensive, along with 36 ambulances and civil defense cars which were either destroyed or damaged. In the course of the attacks, 13 public and 17 private or non-governmental hospitals were hit. One hospital – al-Wafa – was entirely demolished. 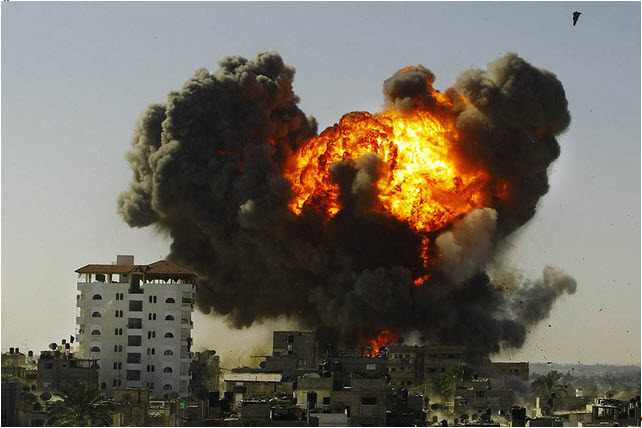 Twenty-three health centers belonging to the ministry were targeted, four of which were razed to the ground. Four private and non-governmental health centers were also targeted, one of which – the Khalil al-Wazir Clinic – was leveled.